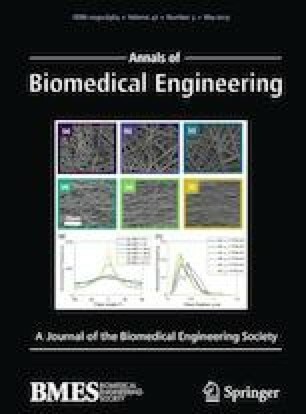 The bioinspired, microscale tissue engineering approach has emerged in recent years as a promising alternative to preformed scaffolds. Using this approach, complex tissues and organs can be efficiently engineered from microscale modules to replicate the intricate architecture and physiology of vascularized organs and tissues. Previously, we demonstrated assembly of a prototype, engineered liver tissue, formed by the fusion of hepatocyte-containing capsules. Here, we analyzed the effects of various controllable system parameters with the aim of predicting the operating limits of our modular tissue in high cell density, perfused cultures. Both the capsule diameter and construct height were limited by mass transfer requirements, while the shear stress on the capsule wall and the pressure drop across the packed capsule bed were dictated by the capsule diameter and permissible flow rates of the system. Our analysis predicts that capsules with a 200 µm radius can efficiently maintain hepatocytes at cell densities comparable to liver tissue. Some model predictions were validated by packed bed perfusion cultures. Flow-induced bed compaction hysteresis was tested experimentally and found to have minimal effect on flow characteristics. The effectiveness factor (η) for the overall oxygen transfer within packed beds of capsule modules was estimated to be 0.72 for all conditions. Primary hepatocytes encapsulated in the capsules exhibited normal metabolism and formed spheroids during a 7-day culture. The model predictions can be useful to study mass transfer and shear stress in high-density perfusion cultures. Overall, analysis of a perfused, capsule-based, modular tissue demonstrated the feasibility of the technology as a platform for fabrication of highly metabolic solid organs. Associate Editor Jennifer West oversaw the review of this article. Funding for these studies was provided by a DRICTR award from Wayne State University, and a grant award from the National Science Foundation (CBET-1067323). Polyionic solutions preparation Aqueous solutions of the polyanions (chondroitin 4-sulfate (CSA), carboxymethylcellulose (CMC), polygalacturonic acid.Na (PGA)) were prepared in a HEPES-sorbitol buffer containing: 0.4 g/L KC1, 0.5 g/L NaC1, 3.0 g/L HEPES-sodium salt, and 36 g/L sorbitol, pH 7.4. Polyanion solutions containing CSA and CMC were sterilized by autoclaving at 121 °C for 30 min. The capsule polyanion formulation used for pressure drop calculation and endothelial cells seeding was 4 wt% CSA/1.5 wt% CMC. To prepare the chitosan solution, powdered deacetylated chitosan was suspended in water (3 g in 250 mL) and autoclaved at 121 °C for 30 min. Later, 0.6 mL of glacial acetic acid was added to the cooled sterile aqueous suspension and stirred for 4–8 h to dissolve the chitosan. Likewise, 19 g of sorbitol was autoclaved separately in 250 mL of water and then mixed with the sterile chitosan solution. Undissolved chitosan was removed by centrifugation at 500×g for 10 min. PGA (0.1 wt%) in HEPES-sorbitol buffer was used for surface stabilization of capsules. Microcapsule formation Cells were encapsulated in microcapsules produced by polyelectrolyte complexation between cationic chitosan and polyanions as described previously.37 In brief, 5–10 million cells were suspended in 1 mL of a polyanionic solution (4 wt% CSA/1.5 wt% CMC). Droplets of the cell suspension were dispensed into 30 mL of stirred chitosan solution containing 2–3 drops of Tween 20. Since the polyanionic complexation that happens during the capsule formation is self-limiting, the thickness of the capsule wall is generally uniform for all capsules with a specific formulation under similar conditions. Acellular capsules were also made using a similar procedure for the pressure drop analysis. A 24-gauge Teflon catheter was used to generate droplets, and the filtered air was blown coaxially to shear away droplets 0.5 mm in diameter while maintaining a narrow size distribution. Capsule membranes were formed almost instantaneously by ionic complexation between the oppositely charged polymers. Freshly made microcapsules were allowed to mature for 1 min in the stirred chitosan solution, followed by two washes with normal saline and surface stabilization by washing with 0.1% PGA solution. Microcapsules were then equilibrated in 4 °C hepatocyte culture medium for ~ 60 min and then transferred to the perfusion culture chamber. Cells were stained with a working solution of 2 µM Calcein AM and 4 µM Ethidium Homodimer (LIVE/DEAD® viability/Cytotoxicity Kit, ThermoFisher) in complete culture media to access viability of the cells. Endothelial cell seeding on capsule surfaces Capsules were coated with an adsorbed layer of Type I collagen before externally seeding endothelial cells. For coating collagen on the outer surface, non-surface stabilized capsules (i.e., capsules without a PGA final wash) were washed in dilute acidic collagen solution (0.2 mg/mL of collagen in 1 mM acetic acid) for 1–2 min and then equilibrated with culture medium for 30 min. The culture medium was then removed, and an endothelial cell suspension (ECs) was added to settled capsules in a 50 mL centrifuge tube. ECs were seeded at a density of 106 cells per mL of capsules and incubated at 37 °C for 60 min. The capsules were gently resuspended every 10 min to achieve a uniform endothelial coating. After EC seeding, the capsules were transferred to bioreactor chambers or tissue culture dishes for further experiments. Assembly of modular constructs For packed bed perfusion studies, individual capsules were fused into 3D constructs as follows. Freshly formed capsules were washed with saline, surface stabilized with 0.1% PGA and cultured capsules, or freshly made acellular capsules were first reloaded with a polyanion by incubation in a diluted polyanion solution (0.1% heparin or 0.4% CSA/0.15% CMC). The capsules were then transferred to a cylindrical mold with the mesh base. After draining excess polyanion solution, the mold with reloaded capsules was perfused with 0.06 wt% chitosan solution to ionically fuse the capsules. Excess chitosan solution was drained, the capsules were rinsed with normal saline and surface stabilized by brief perfusion with a dilute polyanion solution. The fused modular construct was then removed from the mold and placed into the perfusion chamber for further studies. Perfusion culture of encapsulated hepatocytes Encapsulated primary rat hepatocytes (cell density: 10 × 106 cells/mL of CSA/CMC) isolated using collagenase/EDTA perfusion method were maintained in perfusion cultures as previously described.34,37 Hepatocytes were harvested from live rats using published animal protocols that were prepared in accordance with the recommendations in the Guide for the Care and Use of Laboratory Animals of the National Institutes of Health. The protocol was approved by the Animal Investigation Committee of Wayne State University (Protocol Number: A-07-16-10). Surgery and liver perfusion of the rats were performed under ketamine/xylazine anesthesia, and all efforts were made to minimize suffering. The perfusion chamber was made out of a 10 cm long cylindrical polysulfone tube (Nalgene, Thermo Fisher) with an internal diameter of 2.5 cm. The tapering ends of the tubes contained a 100-μm nylon mesh to hold the microcapsules within the chamber. Capsules with 0.5–1 mm diameter were used for pressure-drop studies. For hepatocyte culture studies 0.5 mm capsules were deemed suitable based on the numerical analysis data. For the packed bed cultures, the microcapsules were first fused in a chamber as described and maintained in a downward flow of the medium in a continuous circulation flow circuit. Medium exiting the remodeling culture chamber was oxygenated using a silicone tubing oxygenator (supplied with 95% air/5% CO2) and recirculated using a peristaltic pump. The flow rates were adjusted to provide adequate oxygen. The perfusion chamber was maintained at 37 °C for 1–2 weeks and the culture medium replenished every 3–4 days. Medium samples were collected daily for evaluation of albumin and urea synthesis by the hepatocytes.